God Macabre were one of the first Swedish death metal bands along with peers Carnage and Nihilist (Pre-Entombed) and as such are essential in the creation of Swedish death metal. They were formed in the winter of 1988 as a grindcore band named Botten På Burken In 1989 the switched to playing death metal and changed their name to Macabre End. 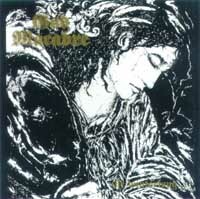 They released a demo in September 1990 titled Consumed by Darkness which turned into an underground hit. Thereafter they changed their name once again to God Macabre. In 1992 the band split up after Johansson and Nilsson left the band in 1991 and no suitable replacements could be found. Boder and Sjöberg formed the band Snake Machine which evolved into Space Probe Taurus. After the split-up the only album recorded was released - The Winterlong.... The album was re-issued in 2002 with the demo as bonus tracks by Relapse Records.